Step 4 Pour the dressing over the salad and lightly toss. 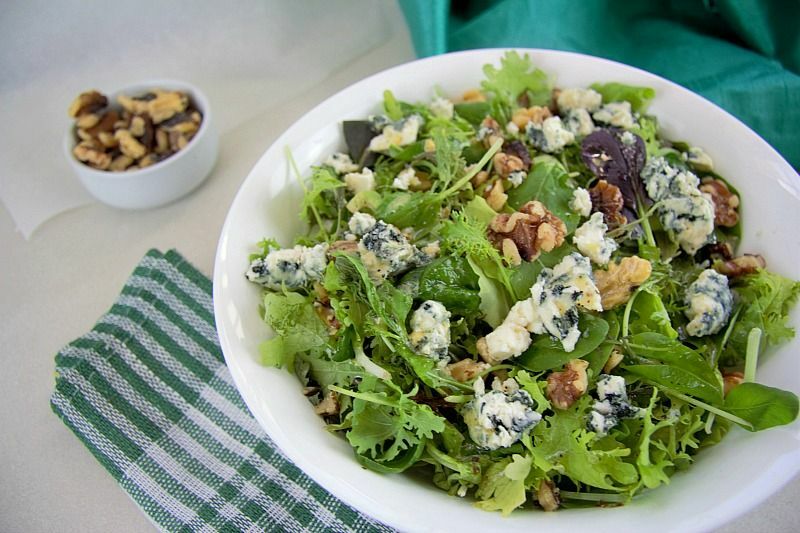 This walnut blue cheese salad is a simple yet tasty salad that is enjoyable enough to eat on its own. It’s a great healthy quick lunch too. Although this is such a simple salad I was in two minds whether to publish this as it’s just too easy to make. I have been eating this walnut blue cheese salad a lot whilst the Chief Taster is away as it’s easy to make and not a lot of washing up was involved. I have found it great when I am hungry, want something full of flavour but don’t want to spend ages in the kitchen on a meal for one.